Recent press coverage is suggesting that people who use standing workstations are continuing to experience aches and pains at work. Ummmmm…. well yeah! I don’t think it takes a genius to figure out that standing at a work station for long periods of time is no better (well maybe marginally) than sitting at a desk for long periods of time. The reality of it is that our bodies crave movement. Whether we are sitting or standing is not the argument. Now don’t get me wrong, research does suggest that the lower back is generally under increased pressure when sitting compared to standing but arguably I can also say that quite often people suffering with lower back pain are more comfortable sitting still than standing still. With regards to upper back and neck pain, I think it is quite easy to argue that the potential for pain in standing versus sitting should be quite similar. If your postural habit is to slouch from the middle/upper back (increasing pressure in this area) then your head will move (protrude) forwards at the same time. As the head moves forwards we tilt the head up in order to see our computer screens. With this tilting movement, we increase the pressure into our neck as well. 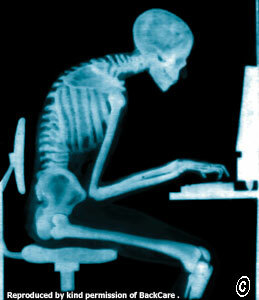 This posture as described is not biased to sitting or standing. So where do we go from here you say? Well, outside of employers giving their employees regular intervals of stretching and jumping around, some simple postural and movement advice can go a long way. 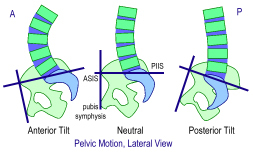 If I were to suggest one piece of postural advice that I believe to be the most important piece of advice, I would quite simply say, ‘pelvic neutral’. Whether you are sitting or standing, placing your pelvis into a neutral position will encourage you to activate the deeper muscles that support your spine. These muscles are primarily there to create stability. Therefore using these muscles will allow you to maintain improved postural positions for longer periods of time. The second most important piece of advice I would share is…… get moving! Don’t just go for a walk to the coffee station. Actually take the time to regularly move the different joints of your body throughout the day in as many natural directions as they will allow you to. Of course this won’t completely abolish aches and pains on their own but it is a great place to start encouraging change in the right direction. 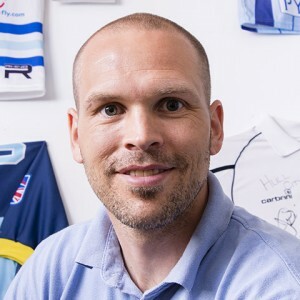 Elite Therapy is a multidisciplinary sports therapy and physiotherapy clinic in Coventry. We treat a range of injuries both sporting and non-sporting as well as back, neck and musculoskeletal pain. Elite Therapy’s services include assessment and diagnosis, physiotherapy, sports therapy, massage therapy, taping and ultrasound. There is also an on-site rehabilitation gym and studio for the Pilates and yoga classes.